Anyone who is interested in learning how to make money with Hodo Global and the artificial intelligence RYZE,Ai currency trading system should take advantage of the free invitation and attend. 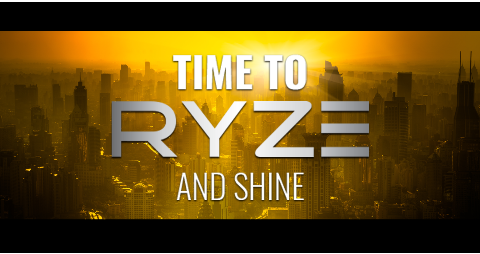 If you have ever had the desire to make profits with currency trading and seeing your brokerage account balance increase weekly from trading in the largest market in the world, you owe it to yourself to attend and find out more about RYZE.Ai and begin using artificial intelligence to create wealth. Have you ever asked yourself, “Can I make money with Hodo Global and the RYZE,Ai currency trading system?” If you want to generate currency trading profits using a tool and trading strategies that are usually out of reach for anyone except large investors. Or have you ever asked yourself, “How can I make money online?”, if yes, then this RYZE.Ai seminar is for you. 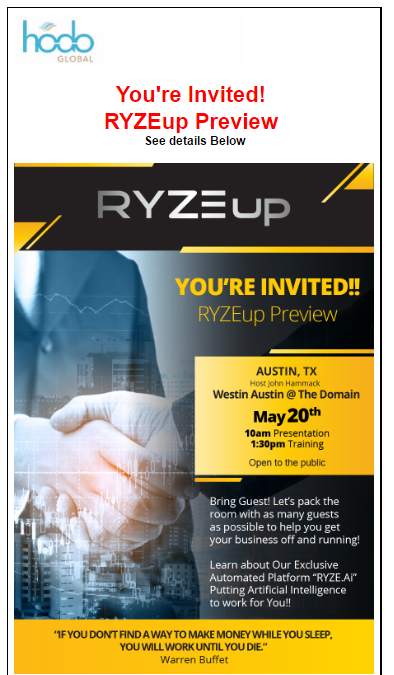 If you have any questions, please contact me at xin@fxtradingincome.com, if not, check out the seminar and see for yourself how you can benefit from RYZE.Ai and Hodo Global. This entry was posted in Event Invitation and tagged FXTradingIncome, Hodo Global, Ryze.ai, RYZE.Ai Seminar, Xin Zhang on May 18, 2017 by Xin Zhang.